Cubes are falling from the sky. You can drag them around to build a tower. You lose when your tower falls over. 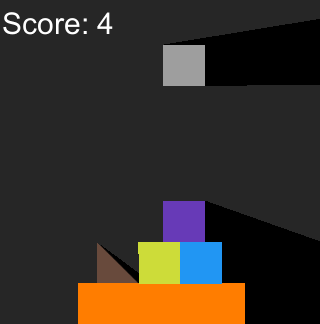 The bigger the tower the higher your score.This is a physics based game. All cubes and triangles will hit eachother when falling down so be sure to keep them under control and not let the tower be destroyed. The music and atmosphere of the game make it a fun and simple game but do not be fooled. It is a very challenging game which never ends until you lose. You can share your highscore with friends so you can see who is better and faster at building towers and keeping their cool. Cubes are easy to stack, but evil triangles will ruin your day. You can't just throw the triangles away you must use them to build the tower. 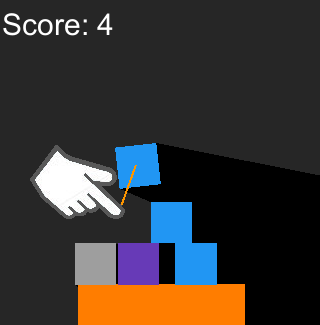 When you drag the triangles and cubes around you can change their position and rotation. 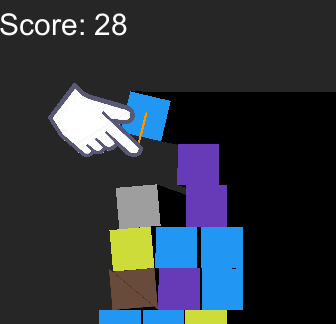 Cube Tower is a fun, simple and challening game. Have fun playing!